Founded in 1973 by Eric Tabarly and Gerard Petipas, the Pen Duick name is steeped in history. Originally created to manage Tabarly's famous yachts of the same name, in 1985, with the arrival of Pierre Bojic, the company took a new direction, devoting itself to the creation and organisation of offshore races. In 2004, the Télégramme Group, a major French media, sports and entertainment group, acquired Pen Duick and with it, an events portfolio that included the Route du Rhum and the Solitaire du Figaro. As part of their diversification strategy, in 2014, the Télégramme Group acquired a majority share in OC Sport, resulting in the merger of OC Sport and Pen Duick. From this moment, a new key player in professional sailing was born, OC Sport Pen Duick. Today, the company has the largest portfolio of sailing events in the world. Created in 1992, the Transat AG2R La Mondiale is a double-handed transatlantic marathon, contested on one-design Figaro Beneteau yachts. 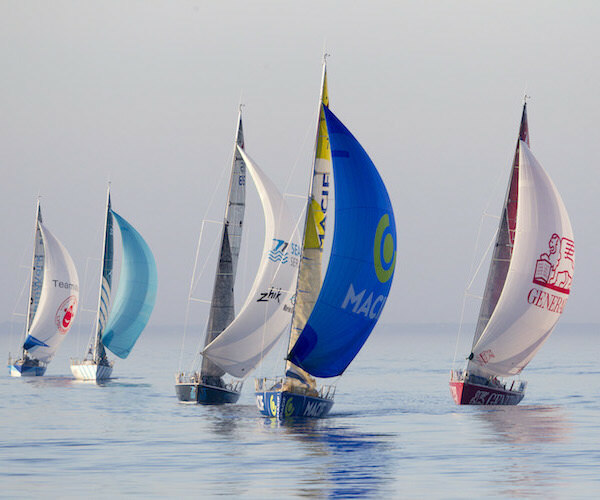 Taking place every two years, the race starts from Concarneau, France, and finishes in Saint-Barts, covering a distance of 3,890 nautical miles. Since 1992, 400 teams have taken on this epic challenge, including some of the sport's best known sailors. The Solitaire URGO Le Figaro is the world's leading annual solo sailing race, and is a flagship event in French offshore sailing. Contested in one-design yachts, the race attracts some of the world's best solo sailors alongside aspiring amateurs looking to make their mark in the offshore world. Taking place annually, the race is normally between 1,500 to 2,000 nautical miles. The Route du Rhum – Destination Guadeloupe is a classic, single-handed, transatlantic race, taking place every four years between Saint Malo, Brittany, France and Pointe-à- Pitre, Guadeloupe. With over 100 entries on the start line across five classes, it attracts some of the biggest names in the sport. 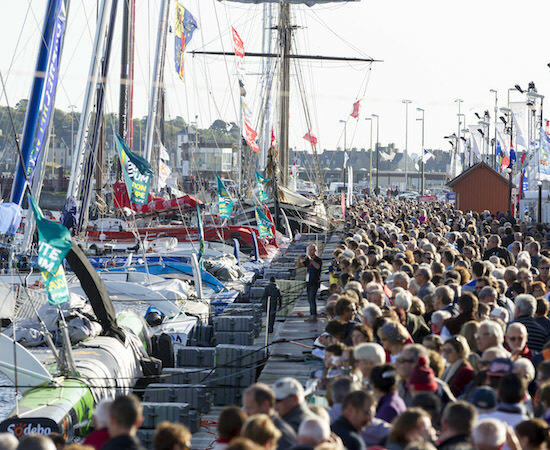 The race attracts more two million people to its race villages, who are drawn by one of the most popular sailing races in France. Created in 1960 by a handful of pioneering British sailors, including Sir Francis Chichester, The Transat, is the original single-handed offshore race. Organised every four years, the race covers 3,500 miles of open water across the north Atlantic from southwest England to New York City. It is a challenge dominated by the progression of low pressure systems sweeping the ocean that produce the headwinds that define this classic race, making it one of the toughest tests for sailors. Eric Tabarly is the father figure of French ocean racing. He was an icon to those who followed him, inspiring a whole generation of offshore racers through his training and teaching. A national hero, who was lost at sea in June 1998, Tabarly is now a part of French history, but his passion for sailing lives on through the Tabarly brand. OC Sport Pen Duick is the licensee for the Tabarly brand. The brand is reflective of the man's values, DNA and passion and provides a modern-day anchor to this important part of French sailing history. Pen Duick was the name of Eric Tabarly's first sailing yacht, as well as his five yachts that followed. OC Sport Pen Duick is today the guardian of the Pen Duick brand, which stands for innovation, strong values and victory.